Eurex Exchange, one of the largest financial derivatives exchanges in the world has announced the launch of its new product range to be launched on the 7th of October. The firm will offer futures and options on a range of major and emerging market currency pairs. Eurex follows the footsteps of competitors such as SGX who have embraced new currency related products; Eurex will offer trading on the following currency pairs: EUR/USD, EUR/GBP, EUR/CHF, GBP/USD, GBP/CHF and USD/CHF. In addition Eurex has announced that it will collaborate with Russia’s main exchange to offer the emerging EUR /RUB and USD/ RUB. 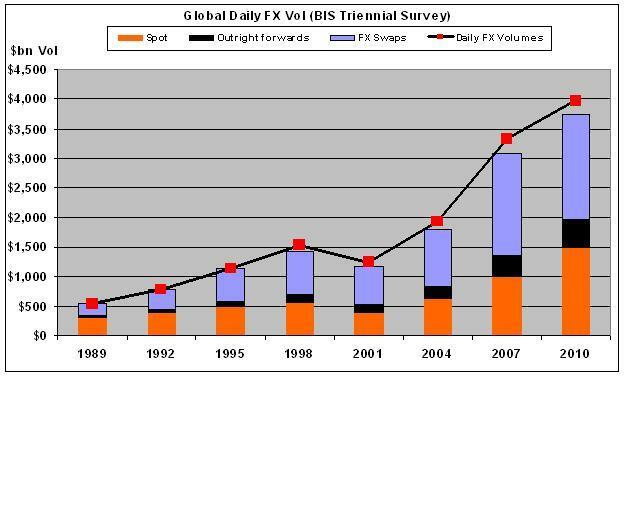 FX markets have been in growth since the introduction of electronic trading in the late 90’s. Over the last decade the FX markets have evolved thus giving users more transparency and uniformity. Furthermore, with the inception of initiatives such as Continuous Linked Settlement (CLS), the process has removed settlement risk in FX, through the unique payment versus payment settlement service provided by CLS. Eurex Exchange will offer physical settlement for the FX contracts and delivery will be made via the international currency settlement system Continuous Linked Settlement. Since the global recession 2008 industry think tanks and regulators have been lobbying for more transparency in trading of OTC contracts. The arrival of SEFs has meant that more and more transaction will be exchange based. Eurex’ s proposal to launch currency futures comes on the back of growing demand for liquid instruments as well. Fail. CME Europe will own this. Only a few pairs (no JPY), and no 24h trading.